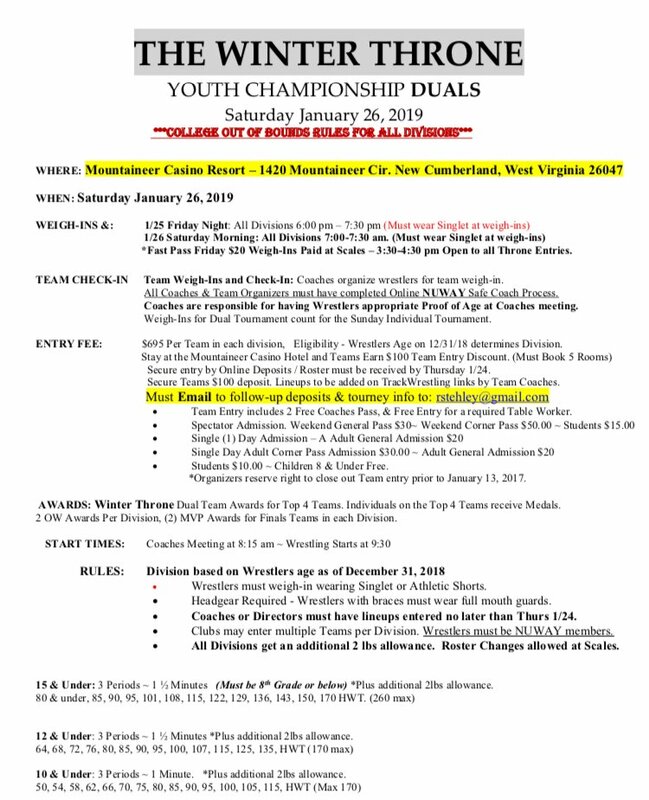 I am looking to fill a super solid 10U team for this dual in West Virginia. It would be just a tad less than $50 per wrestler, no gear obviously. It’s +2 pounds as well. Every wrestler so far is an ISWA state placer or champ except 1 or 2. It will be a fun team!!!! 85, 90, 95, 100, 115, HWT (170 max) all available.